Amsterdam is notorious for its relaxed laws (or lack there-of) on recreational activities, but there are plenty of reasons to visit the Netherlands for those who aren’t on a party agenda. Or, even for those who are, but want a break to see the scenic side of the city. One of the can’t-miss features of this artistic capital is the Heineken Museum, an enjoyable day trip for beer enthusiasts and casual sippers alike! Gerard Heineken bought his first brewery in 1864 which would become the first Heineken brewery in 1873. 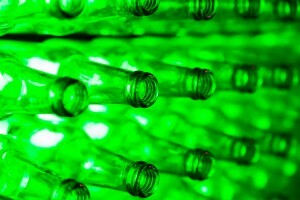 In less than 20 years, Heineken beer would become an award-winning drink enjoyed by people all over the world. Today, it’s one of the top lagers world-wide, and the old brewery has been renovated into an interactive museum with exciting amusements. Heineken is fun by itself, but the museum is a fusion of history and high spirits. Known as the “Heineken Experience”, visitors enjoy an interactive self-guided tour to see how one of the world’s most coveted pilsners is made. There are games, videos, displays, and of course, free beer at the end (with the opportunity to ‘earn’ more free beer). It’s a creative, entertaining trip even for those who aren’t really into beer. It’s a great way to learn about some of the history of Amsterdam and its roots. Plus, soft drinks are available in lieu of beer for those who decide to pass on a mug of their delicious brew. For anyone visiting Amsterdam, the Heineken Experience museum is a must-see. Besides, everyone needs a break between taking in the incredible night life and vibrant culture! Why not enjoy your break with a celebration of one of the top-requested beers at any given restaurant, club, or bar? Travel to Amsterdam and see the Heineken Museum in person! AESU offers several trips to the Netherlands, including our Euro Explorer trip. Explore Amsterdam and check out its incredible cyclist culture, as well its numerous historical canals. If you have any questions or want help booking your Amsterdam adventure, please contact AESU by calling 800-638-7640, or fill out the contact form found on our website! This entry was posted on Thursday, February 25th, 2016	at 11:00 am	. You can follow any responses to this entry through the RSS 2.0	feed. Both comments and pings are currently closed.